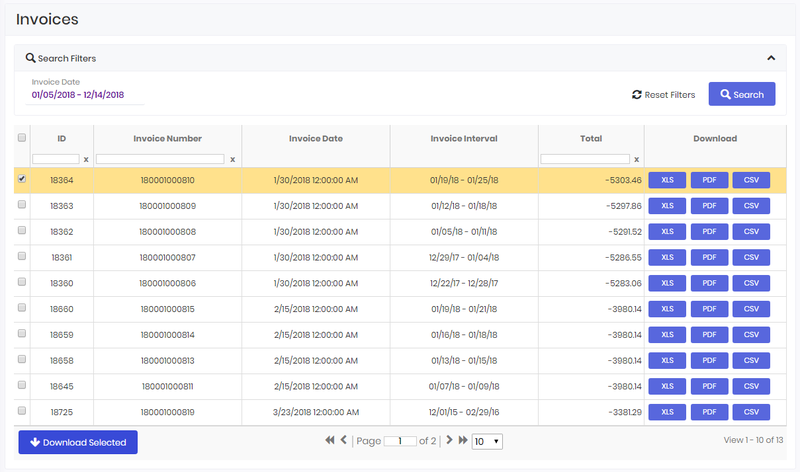 By accessing the Invoices tab, you can see all of your invoices and when they were generated. 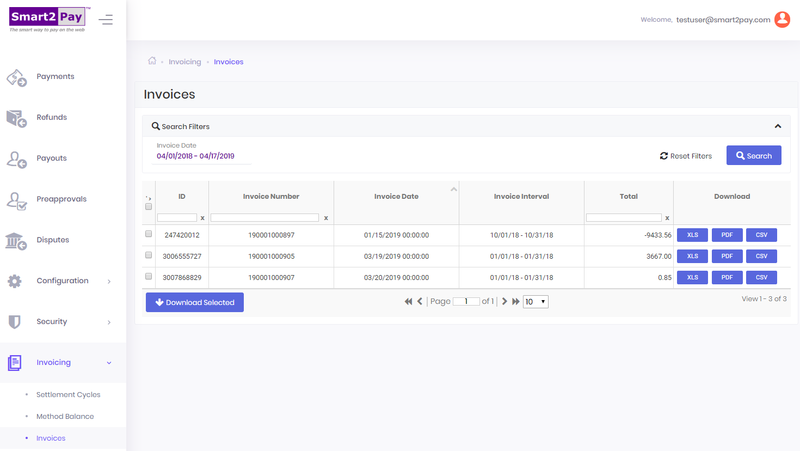 You can also search and view a specific invoice by introducing either the invoice number or the total amount in the appropriate text boxes. – the total amount of the invoice. You have the possibility to download a specific invoice in XLS, PDF or CSV format or to download all of the invoices into the appropriate format. Invoices will be sent on email, and they can also be generated in CSV format in SFTP upon request.